I own 2+1 BHK in B7 tower. I have paid the enhanced EDC/IDC long back. Let me know, when we plan to visit SRS office for refund status. I can accompany. Can anyone post the letter for refund of enhanced EDC pertaining to royal hills project. I cannot find it. I am planning to visit SRS office along with order copy to discuss further on this. There are two ways to collect revised EDC notification for SRS Royal Hills. 1.File RTI against license number of your project. 2.Join 17th May court hearing and visit DGTCP chandigarh office and take copy from a/c department against license number of your project. amit.nagpal wrote: Can anyone post the letter for refund of enhanced EDC pertaining to royal hills project. I cannot find it. Here is the attached file. I alrady sent a copy of thsi file to SRS along with a letter of refund through email. As ususual No reply from them. Let us know the outcome of visit. I have already visited them, they clealry told me that you are not entitled for this.Although i have paid the enhance EDC/IDC last year sep-11 ,2 Lac.They are not ready to listen any thing. One point I want to share with everybody that as enhanced EDC,I received demand letter for Rs. 2,29,000/- against which I paid Rs. 1,30,000/- i.e. I kept outstanding amount as Rs. 99,000/- against enhanced EDC. This was done considering that the court verdict will be in the favor of Flat buyers. subsequent to this one demand for Rs. 1,74,000/- was received from SRS for casting of 1st floor slab. Payment was made immediately but SRS issued receipt for Rs. 75,000/- against 1st floor slab casting and indicated Rs. 99,000/- as outstanding -with this they incorporated interest @18% on outstanding amount. When the matter was chased with SRS they said that whatever amount received by them has been diverted for settling the EDC demand and the balance related to construction has been given the second priority, and thus the outstanding became Rs. 75,000/- & as per terms of the agreement they are supposed to charge 18% & 24% interest if delay is beyond 1 & 3 months respectively. It indicates whatever payment the builder receives from us will be diverted to EDC account at first and thus construction related payment will appear as outstanding in their Books of Accounts and they will charge penalty on that. It is very difficult to challenge them that the amount as such is outstanding against EDC and they are not supposed to charge any penalty against that. The matter was personally taken up with SRS authority but they refused to listen and in subsequent demand letter also, they have indicated the amount as outstanding and charged penalty of 24%. So, as per my understanding, I committed mistake by not paying enhanced EDC amount on time and I do not find any way out, to get relief of the interest being charged by the builder. The builder has their own ways and means of extracting money from individual buyer. In such scenario if anybody has any opinion/ suggestion please share. In my first post regarding EDC / IDC I concluded that this thing z going to happen as we still have to pay construction related dues an if we dnt pay we will be charged interest as per agreement. I paid EDC 2 months late and on that also they charged me the interest. Finally i have mailed them for refund of Enhanced EDC and subsequent interest, then i sent them all the letters by post but as usual still no reply. Would like to hear from other SRS royal hill members regarding further course of action. you are 100% correct. Initially i have also planned to pay the partial amount (Out of total 170000) i have decided to pay only 1 Lacs. During my visit to the SRS (CP) office i have discussed this thing with the one executive. She advised me to pay the full EDC amount as i have CLP plan going on and builder will adjust the balance EDC amount received from bank. Hence no point to pay the partial amt. After that i have paid full amount after one month delay. Now contacting them for the refund already sent 1 letter via speed post and 3 emails. But no reply. I think we should visit the SRS FBD office for this. I can see few members from SRS Pearl floors are planning to visit and protest on 16th June. i think the Royal hills members should also participate on this. i was out of town for few days hence was inactive on forum. I have recently purchased home in SRS Royal hills in fresh booking. I have paid DC (EDC and IDC) charges as Rs. 395/sq. ft. but just wanted to know whether these are justified. Can anyone help me out with the breakup that how they reached to this amount. Also, I came to know from form that service tax need not to be charged on EDC/IDC charges but SRS has charged it. Please suggest. EDC/IDC charges will be very high for recent fresh purchases from developers. It is like killing of housing sector with so much tax by Govt. and our constitution says housing is fundamental right?? Govt. does NOT care a bit. Only option is Court and GFWA has a pending writ in High Court against EDC revision. 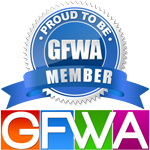 I can only say come and join GFWA. I spoke to SRS reagrding the refund of Enhanced EDC, but they are saying we are prsently refunding to SRS residency home buyers and later on they will start the same process for SRS royal hills home buyers. I want to know that did any SRS Royal Hills buyer got the refund of Enhanced EDC? We need to work the same way as SRS residency people revolted else forget refund. Any update on EDC refund ? Is it under stay as ordered by Haryana Govt. ? Guys I am new to this group. Any body have any idea about the VAT. What is the VAT %. Because some builder are asking VAT & some are not asking.